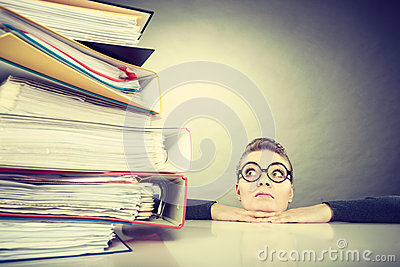 Accountant terrified of pils of binders. A lot of work and overwork concept. Terrified young businesswoman secretary with huge stack of binders. Scared accountant surrounded of to much work to do.